The purpose of this review is to feature several cytokine families and describe the roles they play in mediating protection or pathogenesis at the different stages of flavivirus infections. We highlight the similarities and differences in the roles these cytokines play in the different flaviviruses. Cytokines play a role at every stage in flaviviral disease. 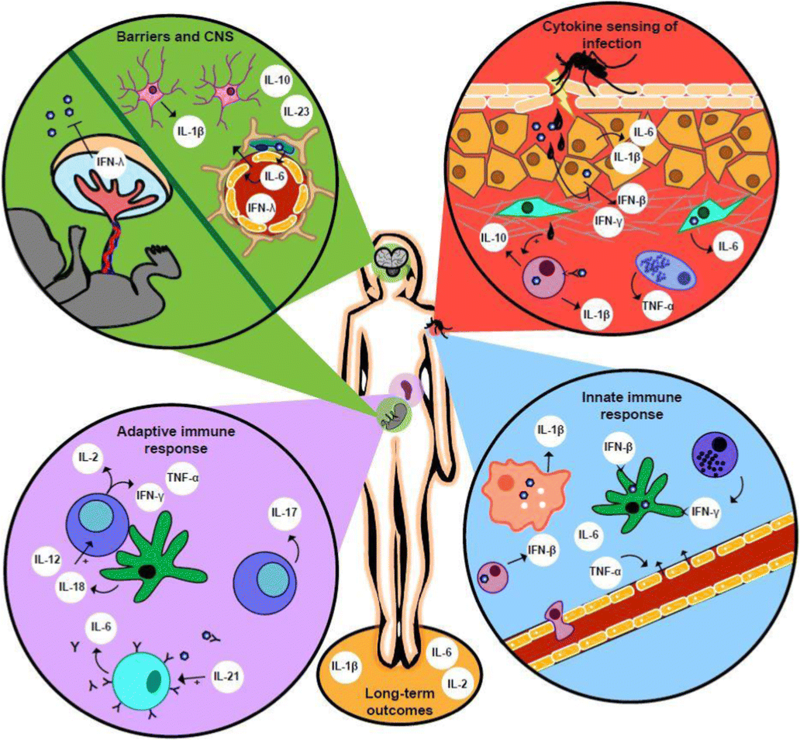 In the past 3 years, exciting work has been done showing immunomodulatory effects of arthropod saliva on infection, novel roles of cytokines like IFNγ and TNFα in controlling acute flaviviral infection, critical roles of type III IFNs in limiting viral spread particularly in the neurotropic or teratogenic flaviviruses, and the detrimental effects of the inflammasome in recovery from neurotropic flavivirus infection. Disease induced by flaviviral infection is the result of the complex, cytokine-driven interactions between host, virus, and vector and is distinct at each stage of infection. 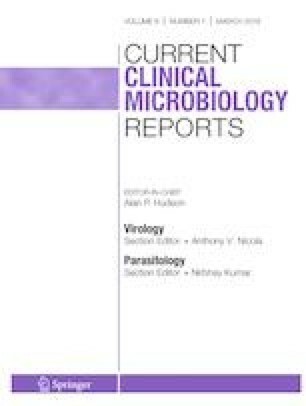 Though flaviviruses are similar in phylogeny, the mechanisms by which they cause disease can be distinct. However, a common theme persists, in that dysregulation of cytokines can cause devastating effects for the host. A thorough understanding of these pathways is a critical step in the development of therapeutic treatments, antivirals, and vaccines. Dr. Brien and Dr. Pinto reports grants from Emergent Biosolutions, outside the submitted work; . Dr. Hassert has no conflicts of interest. Hassert M, Brien JD, Pinto AK. CD4+T cells mediate protection against Zika associated severe disease in a mouse model of infection. PLoS Pathog. 2018. https://doi.org/10.1371/journal.ppat.1007237.